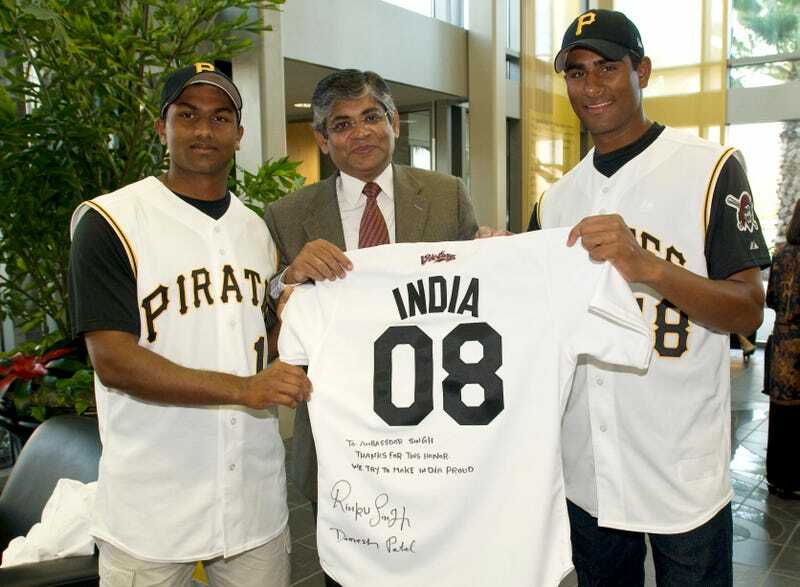 Disney has hired screenwriter Tom McCarthy to write the script for "Million Dollar Arm," the inspiring story of two young Indian men who won a reality show and then got signed by the most miserable team in the major leagues. Rinku Singh and Dinesh Patel requested in 2009 that we not equate their storyline with Slumdog Millionaire: "We're not from the slums, and we're not millionaires," Patel told Bobby Ghosh. "We are not characters from a film. We want to be taken seriously, as baseball players, as professional pitchers." Singh pitched two innings for the State College Spikes last season, but the Pirates released Patel in December. I can't wait to see how Disney ends this one.